Arsenal closed the gap to fourth-placed Chelsea to just three points with a 2-0 win at home in the Premier League. Goals in the first half from Alexandre Lacazette and Laurent Koscielny were enough to secure all three points for the Gunners at the Emirates Stadium. Here, we analyse the performance of Arsenal skipper Koscielny. Arsenal started with great intensity, pressing high up the pitch and suffocating Chelsea. With the full-backs so advanced, Koscielny had to manage the defensive line to perfection while also covering for the marauding Sead Kolasinac. The Frenchman proved to be a real threat from set-pieces and his goal gave the hosts some breathing space. With Chelsea chasing the game in the second period, the 33-year-old showed his wealth of experience as his side came under pressure. He seemed to be a magnet for the ball, making clearance after clearance and held his position well. Aerial threat – Not once, but twice Koscielny timed his run to perfection and stole a march on the marker inside the area. On the first occasion, he was brilliantly denied by Kepa Arrizzabalaga from point-blank range. Ironically, his second go from Sokratis’ ball in was mistimed and it came off his shoulder but left the keeper stranded. 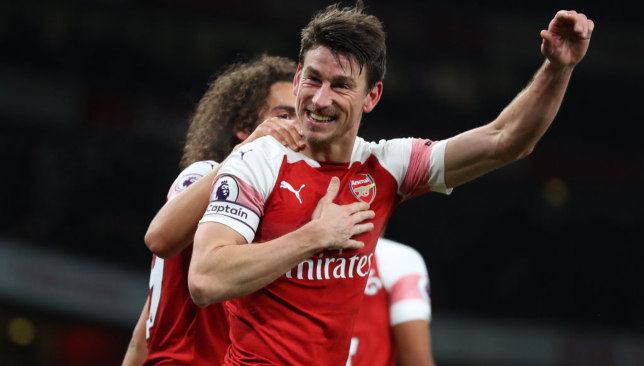 Defending lines – This Arsenal defence has looked vulnerable on numerous occasions this season, particularly because of Emery’s high defensive line and lack of mobile centre-backs to cope with it. Most importantly though, they lacked a leader and with Koscielny back, that’s no longer the case. He marshaled the back-line expertly and led by example. His superb block to deny Ross Barkley in the second half was inspiring while his game-high 13 clearance proved his worth. Distribution – It’s a harsh criticism to make but with David Luiz boasting an excellent range of passing, Arsenal’s centre-backs paled in comparison. 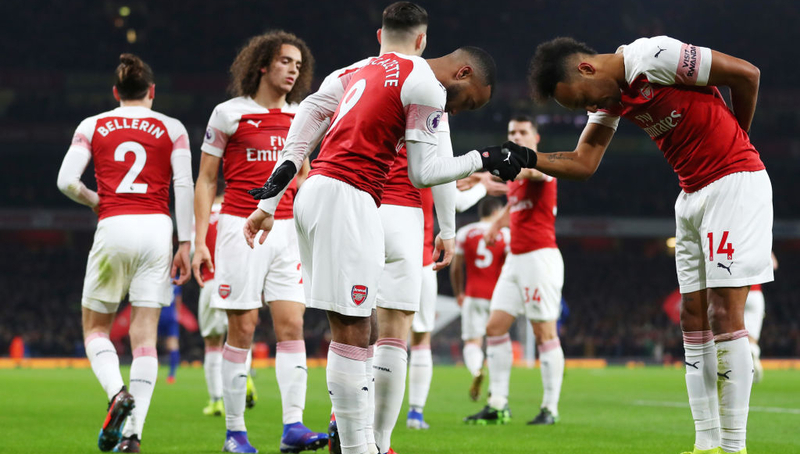 Especially when Chelsea threw numbers forward as they chased the game, there were chances to release Aubameyang on the break but the Arsenal skipper chose instead to clear his line without hassle. A commanding display from the experienced centre-back and a goal to top it off as well. He’s been a little rusty since his return but this display is more like what Arsenal’s defence has been missing. First-half goals from Alexandre Lacazette and Laurent Koscielny sealed the victory for Unai Emery’s side as Maurizio Sarri’s Blues suffered a fourth defeat from their last nine league fixtures. Here we assess both sides through a Report Card of Saturday’s clash at the Emirates Stadium. Lacazette’s technique – There will be few finer examples of forward play than in Lacazette’s delicious opener. With every touch the jaw lowered before smacking the floor when he finished, it was that good. The Frenchman’s first touch from Hector Bellerin’s nothing cross killed the ball dead, his second allowed him to turn toward goal, the third made room, his fourth – with minimal backlift – cut the ball high into the net from tight on the corner of the six-yard box. Every touch and turn was precise, like watching the intricate brushstrokes of a real masterpiece. A wonderful goal to add to his sumptuous strike in this season’s draw with Liverpool. Luscious Luiz – No this isn’t a note about his flowing locks but rather his pretty passing. He is legitimately the best passer of the ball out of the back. It’s the main reason Sarri reintroduced him into Chelsea’s XI and it’s a legitimate one because there were fine examples of his range against Arsenal. It’s been a feature of their play all season, of course, but against the intensity of the hosts’ press, it was a weapon for Chelsea. One such pass should have ended with a goal in the first half as he placed a perfect ball from wide left to right, yawning the pitch apart to enable Pedro the opportunity to narrowly loft an effort wide. It was pure art, even if Chelsea’s defending was largely ugly. Bellerin’s injury – Amid the cacophony of joy in the Emirates Stadium, a ghostly hush in the second half punctured the air as Bellerin collapsed in agony. The Spaniard was making his first appearance in a month, yet having only just returned from injury, he looks set for a much lengthier spell on the sidelines after excruciatingly damaging his knee against Chelsea. The footage suggested a grim looking ACL snap. Bellerin is justifiably one on the more popular players at the club and his energy from right-back is fundamental to Arsenal’s play. He’s enjoyed a fine season, losing him put a real dampener on the result from an Arsenal perspective. Chelsea can’t keep up – You can’t say everything was bad, but it was pretty much everything. Chelsea were underprepared from the first seconds of the clash as Arsenal smothered them high up the pitch. 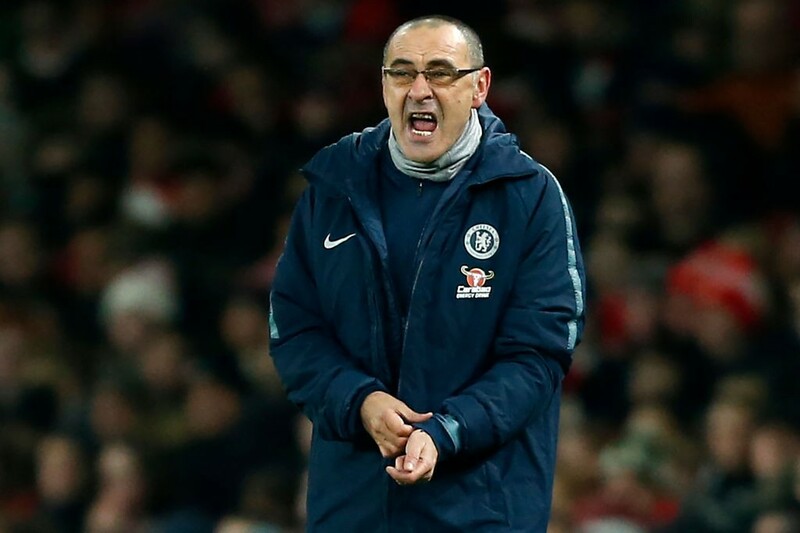 Sarri practically ripped through pages of his book such was the ferocity of his note taking throughout the first half and had his side mirrored his aggression and purpose, they might have had a chance. But they really struggled to match Arsenal’s energy all over the pitch and paid for that. Sarri will likely require a new notepad, and perhaps some fresh talent after this pointless performance. 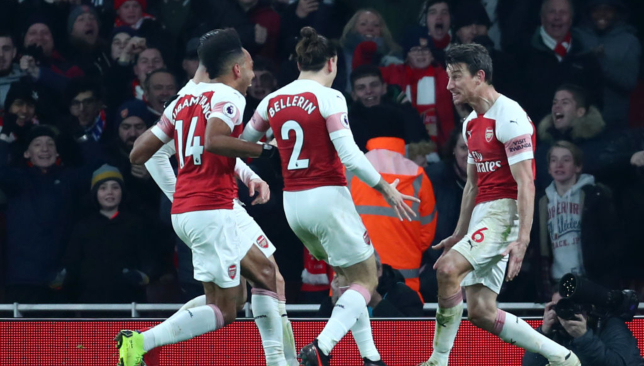 Defensively Arsenal have been gunned down on far too many occasions this season – the nadir arriving late in December at Liverpool – but you cannot fault the protection on Saturday. They reduced Chelsea to one shot on target and physically dominated them – a fist-pumping Sokratis after a thunderous challenge typified their strength. This was just their fourth clean sheet of the season but their understanding of Emery’s system was essential. He was right to leave Mesut Ozil out and operate with a 4-4-2 diamond which allowed his two DMs to cover the pushed up full-backs. An intense pressing system necessitates for uniformity and that collective energy strangled Chelsea. Probably their most complete performance of the season. Firepower in attack and a shield at the back. A superb display from every man. The players don’t really seem to suit Sarri-ball and the teams Chelsea play against appear to enjoy it. Time for some new ideas from the Italian? Here, we rate the performances of the Arsenal players.